Westat is a research company that hires telephone data collectors to research information from home. This company has been in business since 1963 and has completed work for several different branches in the U.S military. Westat collects data and research information for various subjects, such as: Health, education, transportation, and environment. Therefore, their are many different types of positions that are all project based. Westat offers a variety of jobs that change according to the type of project. Typically the work does not involve sales, however you are conducting outbound calls, collecting information from questionnaires. I have also heard they occassionaly offer remote data entry positions from time to time. 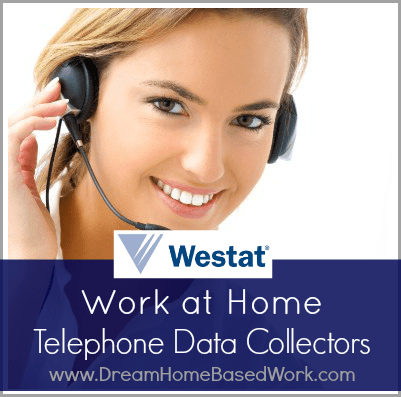 The starting pay as a telephone data collector with Westat is around $8.25 per hour. If you are bilingual, you can expect to earn around $10.25 per hour. For late night /evening shifts between the hours 9 pm and 12 am EST, the pay rate will increase to an additional $2 per hour. Westat agents are paid weekly by check or direct deposit every Friday. Westat hires telephone agents as employees. Training is paid and completed from home. The company provides employees with great benefits including health, dental, 401K, vacation time, holiday time, and administrative leave. You must work a minimum number of hours before receiving benefits, which I have been unable to find at this time. The company requires agents to have a computer with high speed internet, landline phone with headset. and a quiet workspace. This is typical for most phone jobs. If you would prefer a job that doesn't require a landline, click here. What Type of Hours Do I Work? All agents must commit to working a minimum of 15-40 hours per week during these specified times: Late evenings (9pm-12am ET), and weekends (Saturday 10 am -6 pm EST, Sunday 2 pm- 9 pm EST). There are no daytime or early evening hours available at this time. What Are Other At Home Agents Saying? 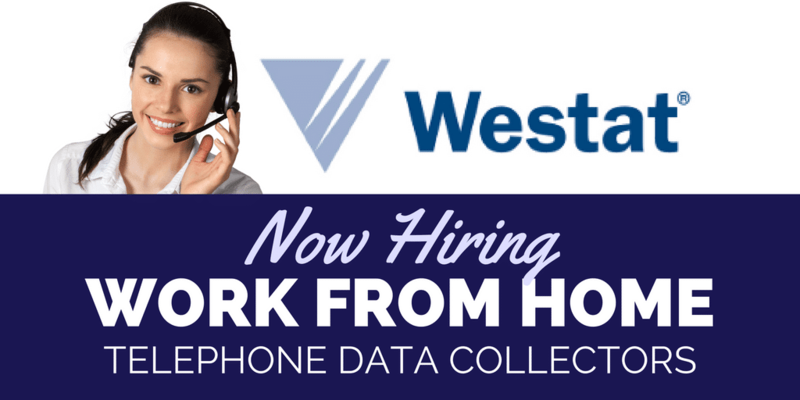 To apply as a telephone data collector for Westat, visit their official site (http://www.westat.com/careers) to learn more about the position and apply online.